And though that may seem like small change to someone who doesn’t care if Dredd 2 happens — and to those people, we’re sorry for the lack of oxygen inside your brain’s hidey-hole — these kinds of stories are insanely important in this day and age, when social media has forced open the eyes and ears of studio executives who are usually more privy to thinking for themselves. This isn’t Ghostbusters 3, or even Jurassic World. Lionsgate isn’t chomping down on the idea of another Judge Dredd film, and it’s solely up to the fans to tell them that the first film has found an audience that it didn’t in theaters. It’s not like they marketed it; we were in the middle of 2012, for Pete Travis’ sakes! We had The Avengers! And what’s a bigger sign of love than an Internet petition? A lot of things, because Internet petitions usually fizzle out immediately. So why did 100,000 Internet users want to see Dredd 2 so bad that they’ve kept this sucker going strong ever since it was created? 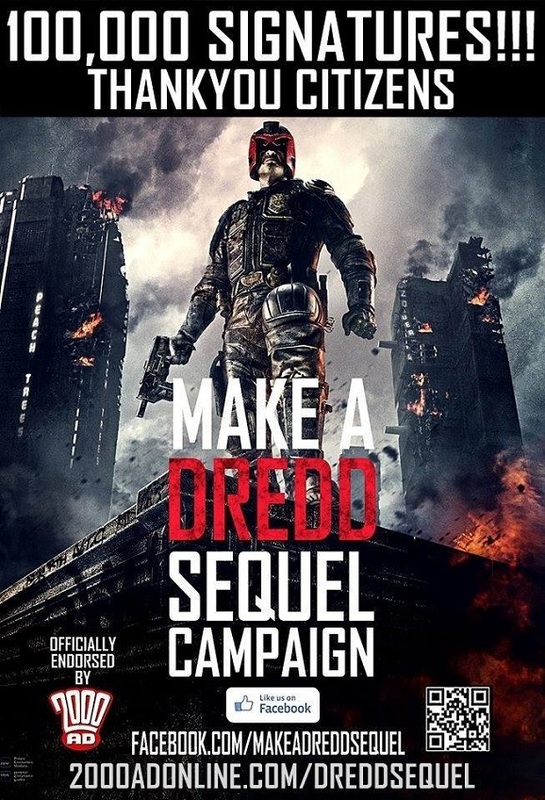 I already made my case that I want a Dredd sequel, but I want everyone else to make the case too. Tell Lionsgate to its face. Its lion face.